DeCicco & Sons in Armonk has a Tales from the Cellar: Secret of the Brews Rare Beer Night 5pm – 9pm! Growler & Gill in Nanuet has New Belgium Tasting and Glass Etching 6pm – 9pm! Pint Sized in Albany has a Albany Costume Keg Battle – Sloop vs Thin Man 8pm – 12am! Beer Noggin in Bronxville has a Untappd 8th Anniversary Event 6pm – 10pm! Draught Industries in Beacon has a Maine Tap takeover: Dinner is served event 6:30pm – 2am! Yonkers Brewing has their Halloween Costume Party 8pm – 12am! River Outpost Brewing Co. in Peekskill has their Halloween Spooktacular at 8pm! Grand Cru Beer & Cheese Market in Rhinebeck has their Last Night in the Village Party at 8:30pm! Brown’s Brewing Company in Troy has their Monster Mash Halloween Party 9pm – 12am! 2 Way Brewing Company in Beacon has their Costume “Mash-Up” Party 7pm – 10pm! Cousins Ale Works in Fishkill has their Halloween Costume Party 7pm – 12am! SUNY Schenectady County Community College has a Rare Form Brewing Company Beer Pairing Dinner 6pm – 9pm! Druthers Brewing Company in Schenectady has a Hops for Hope event 5:30pm – 7:30pm! Captain Lawrence Brewery in Elmsford has their Holiday Party 7pm – 12am! Ambulance Brew House in Nanuet hosts International Stout Day 2018 6pm – 12am! Holy Smoke BBQ in Croton-on-Hudson has a Troegs Brew Master Dinner6pm – 11pm! DeCicco & Sons in Brewster has a Night of Variants comparing two versions of the same beer 5pm – 10pm! DeCicco & Sons in Millwood has a Millwood Beer Dinner Series: Chicken Wings 6pm – 9pm! Growler & Gill in Nanuet has their 6th Anniversary Party 7pm – 11pm! The Helm in Greenwood Lake has their 3rd Anniversary Party 12pm – 10pm! Tipsy Moose Tap & Tavern in Troy has a New Belgium Sampling 6pm – 8pm! DeCicco & Sons in Larchmont has a Meet The Brewer: Fifth Hammer event 5pm – 9pm! 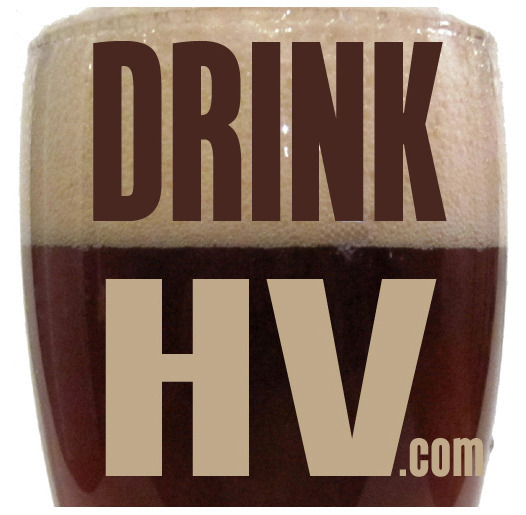 Bootleggers Bar & Grill in Troy has a Harpoon Dunkin’ Coffee Porter Pint Night 6pm – 8pm! Great Life Brewing in Kingston has their The Tasting Room Turns 1 event 4pm – 10pm! The City Beer Hall in Albany has a SingleCut Beer Dinner 6pm – 9pm! Cask & Crossgates – Winter Beer Fest is at Crossgates Mall in Albany 2pm – 6pm! Hunter’s on Jay in Schenectady has a Chili Chow Down and Craft Beer Trail with Northway Brewing at 12pm! Great Life Brewing in Kingston has a Customer Appreciation Day 4pm – 7pm!